We are Judith & James Ruddick and we would like to welcome you to our online garden and home store so here is a little bit about us and how we got started. 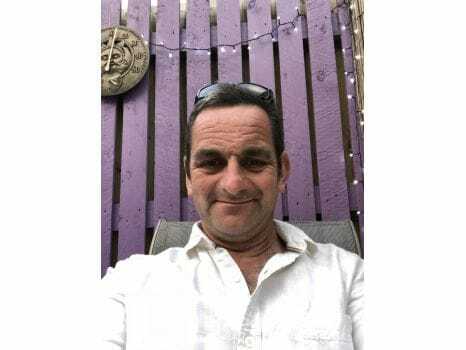 James has been running his own successful landscaping and gardening business - Ruddick Landscape Services for over 20 years and still loves nothing better than pottering about in his own garden whenever he can. I worked in giftware retail for a number of years until redundancy forced me to do something different. The something different was setting up our very own online garden and gift store. The idea for the website originally stemmed from the fact that a few years ago I was looking on the internet for a birthday gift for James relating to the garden and found very little. So that was really when we both had a long chat and decided to take the plunge and create our own garden and home online store. 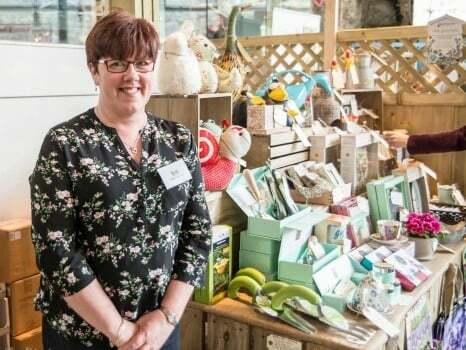 We both felt there was a market for an easy to use website selling unique, useful and fun products for the garden and home and so we combined both our passions of gardening and giftware and after a lot of hard work, Ruddick Garden Gifts was born!! We carefully select our products so that they are not only quirky and fun but useful too. If like us you treat your garden like another room of your house then we are bound to have something that will appeal to you. Whether you are looking for birdhouses or wind spinners, gardening gloves or candles, garden tools or doormats, we have it all. If you need a birthday present, anniversary gift or just something to say thank you, then Ruddick Garden Gifts can help. With the number of gardening programmes on the television increasing, gardening has become very "in" and everyone is doing it from teenagers to twentysomethings, new home buyers to the old time gardeners. So if you have any of these in your family and friends circle then gift ideas will never be a problem again once you have visited Ruddick Garden Gifts. Christmas, birthdays, weddings, mother's day, father's day are all catered for. Or even if you just fancy treating yourself, and why not, then feel free to do so! 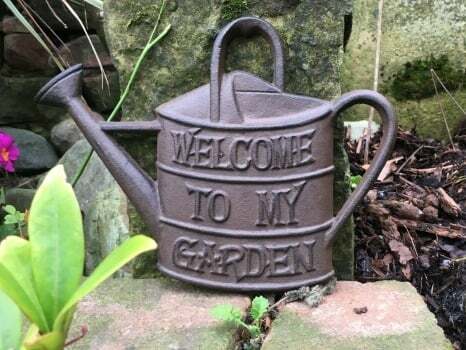 However, Ruddick Garden Gifts don't just want to bring you great products, we want to bring you great customer service and we have had some fantastic feedback off many of our satisfied customers. One lady said that we "went the extra mile" for her and another said that we had a "speedy delivery service and good quality products". These comments are very important to us as we don't just want you to shop at Ruddick Garden Gifts once, we want you to come back again and again and tell your friends and family about your experience too!! 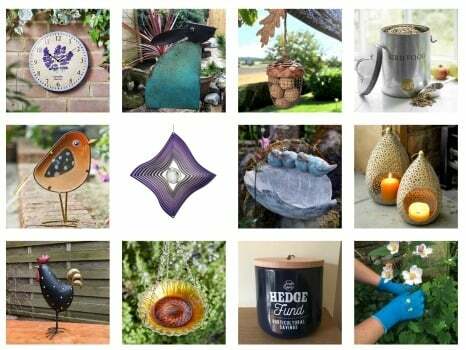 If you are into the whole social media thing then you will find Ruddick Garden Gifts on facebook, twitter and linkedin, you'll see the buttons at the bottom of each page so why not join them! Well that's a little bit about our family run business so why not go and have a browse around and see what takes your fancy in Ruddick Garden Gifts store - "gifts to make you smile". 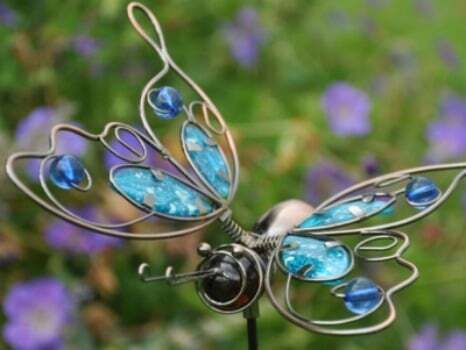 Here at Ruddick Garden Gifts we are constantly looking for new products to bring to you that will enhance your home and garden. Our latest editions certainly do just that. 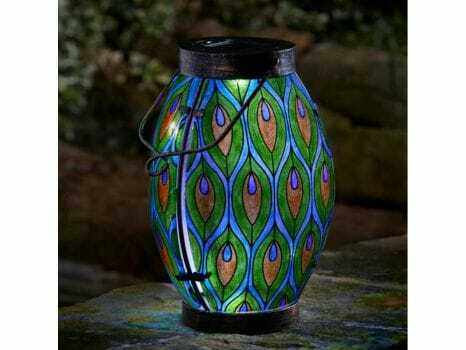 Our solar powered peacock lantern will not only look beautiful during the day but once night falls the effect is stunning. 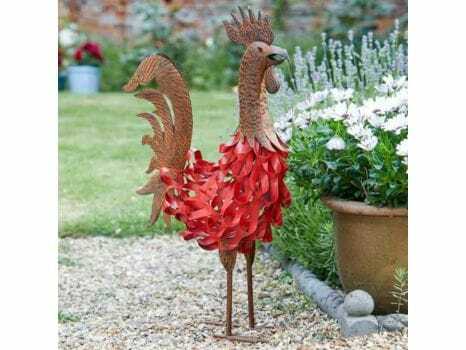 Our Bertie Rooster is hand painted and made from a robust metal and will make a fun and colourful addition to any garden. He also has a companion in the shape of Gertie Goose and together they will look amazing. 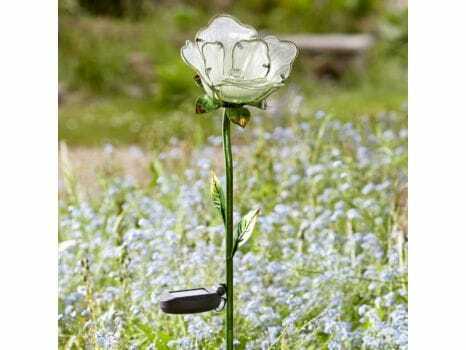 And finally we have a gorgeous solar powered white rose flower which is made from metal and hand painted glass and would look stunning anywhere in the garden. So, there are just a few of our newer items that we have to offer you but do keep watching for more as we are always adding new and exciting products to our store.